Rwandans love to gather around a meal with friends and family. 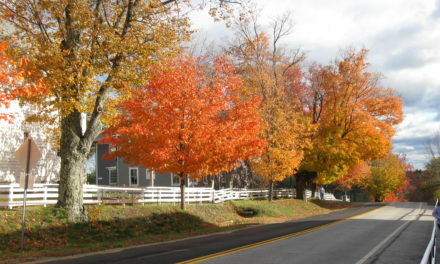 Food and home cooking are central to social life in the country. Some of my favorite memories in Rwanda have been around tables in traditional restaurants and in friends’ homes. However, most restaurants don’t have a menu, so it’s extremely helpful when ordering to know the names of the different dishes. Ugali is a virtually tasteless white ball of maize that takes on whatever flavors it’s eaten with. 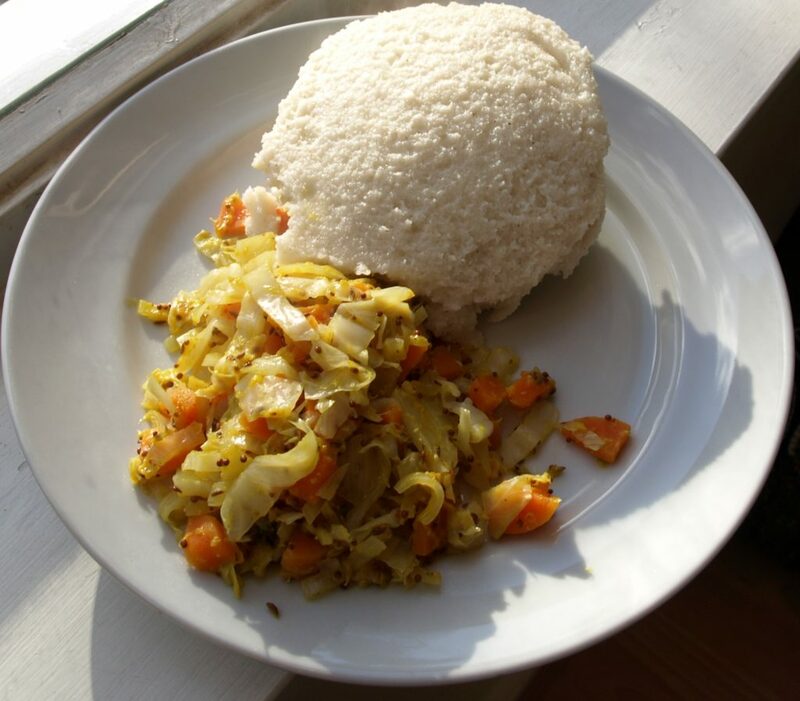 Traditionally, ugali is formed into a ball and used as an eating utensil, as well as an East African staple food. Most commonly, ugali is paired with beans and it really grows on you. You can find Ugali in any restaurant, home, or café. 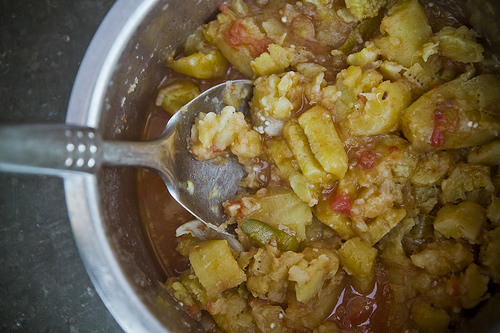 Matoke is a cooked banana dish that you generally don’t find in restaurants but in traditional home cooking. Paired with fresh avocado and rice, or ugali, matoke is served piping hot. Sometimes Matoke is made with peanut flour and other variations as well. Chips, or French Fries, are served in every bar and most restaurants and cafes. Served with mayonnaise and/or tomato sauce called Top Up. Sometimes they’re served with fried red onions too. 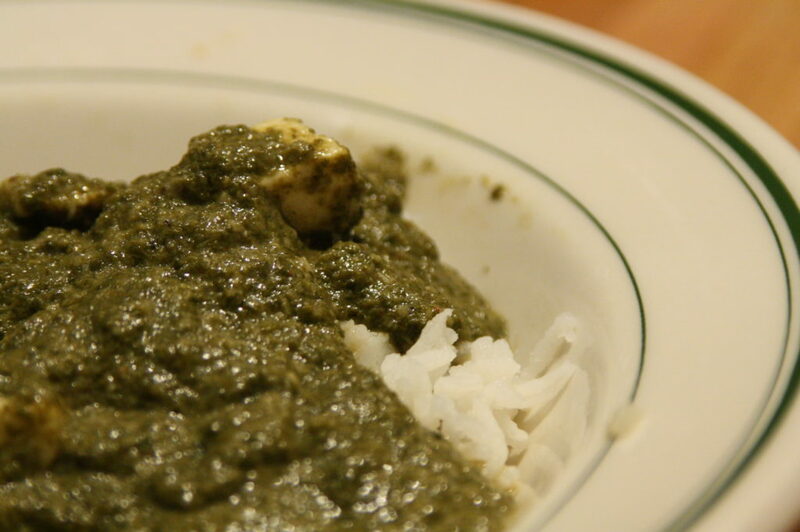 Sombe is a green mush that’s delicious and earthy. 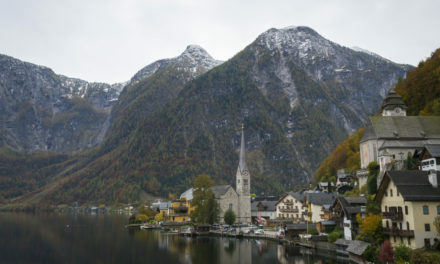 You can find sombe in traditional home cooking and restaurants alike. Made from a locally grown mysterious leafy green, it’s alleged to be good for you too. 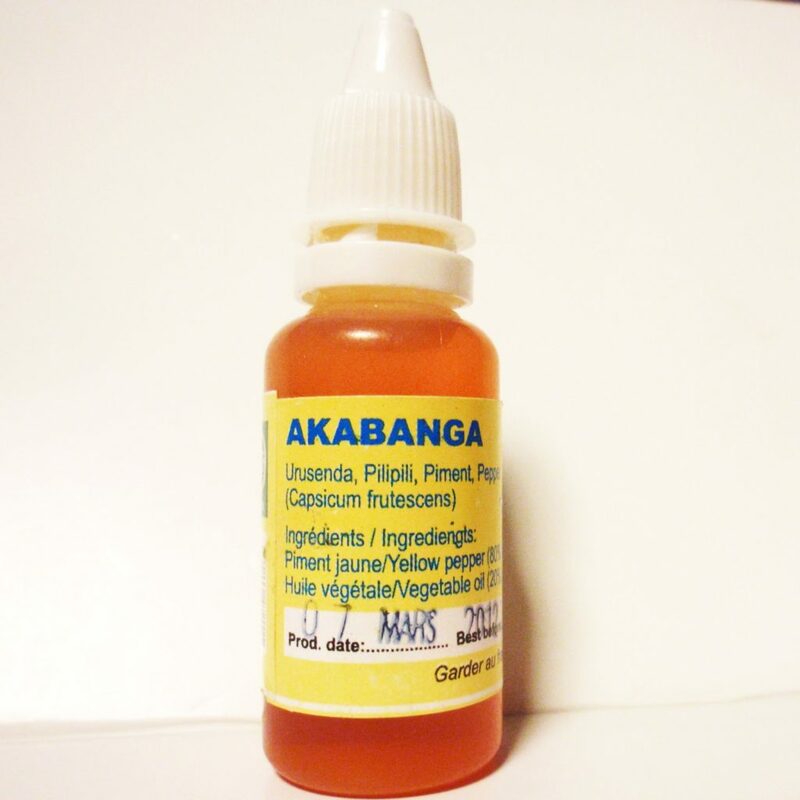 Not technically a food, akabanga is hot chili oil that comes from a small yellow chili. A few drops will add a kick to any dish that needs it; but be sparing as its super hot. Every home and restaurant table has either homemade akabanga in a metal pot or a store-bought dropper full. 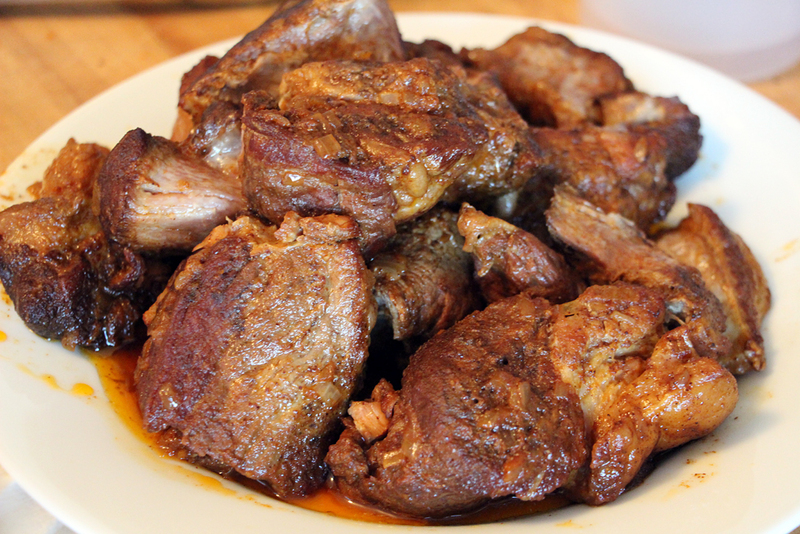 Akabenz is a pork dish named after the Mercedes Benz. You can find Akabenz in Remera and around that part of town. Specifically, the supposed best place to find Akabenz is at Come Again Bar in Remera. You can only find Akabenz in bars as far as I can tell. It is served with lime and Top up. 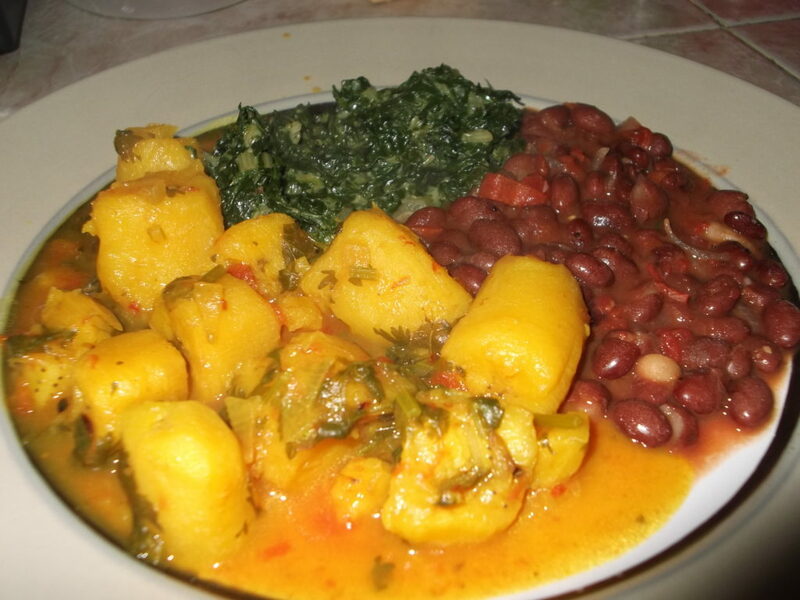 Ibirayi means potato in Kinyarwanda and is a deep-fried potato dish. You can find Ibirayi in bars and restaurants, but it’s more of a bar food. It’s served with Top up and Mayonnaise. 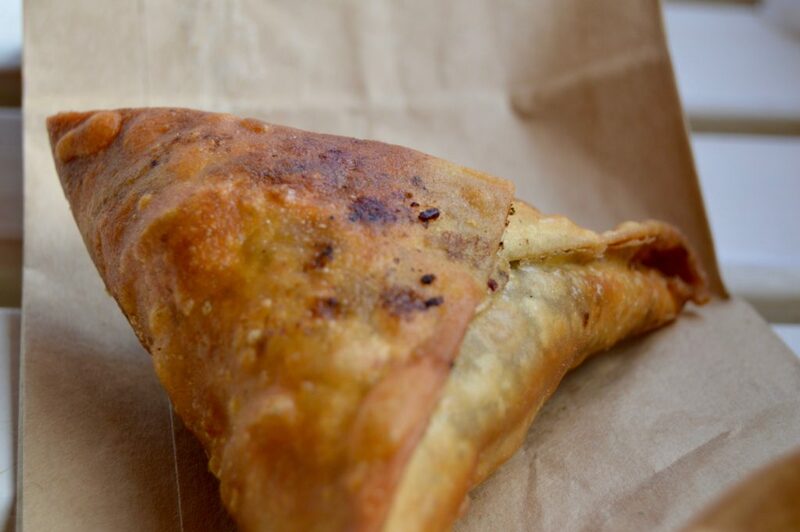 Samosas are a delicious deep fried pastry filled with either meat or vegetables. Some of the meat samosas even have a hard-boiled egg hiding inside. You can find samosas being sold as a quick snack throughout Rwanda. They usually cost you around just 100RWF or $0.12USD. You can find meatballs for just 100RWF ($0.12USD). Meatballs are usually only found in the city of Kigali. They’re delicious and packed with red onions and garlic. Sometimes they will have been sitting out for a while, so try to get the hot ones if possible to avoid stomach bugs. Chapattis are traditionally Kenyan, but still found all over Rwanda. You’ll find Chapattis being fried in ghee (clarified buffalo butter) on the side of the road on a Jiko all over the country for just 100RWF or $0.12USD. 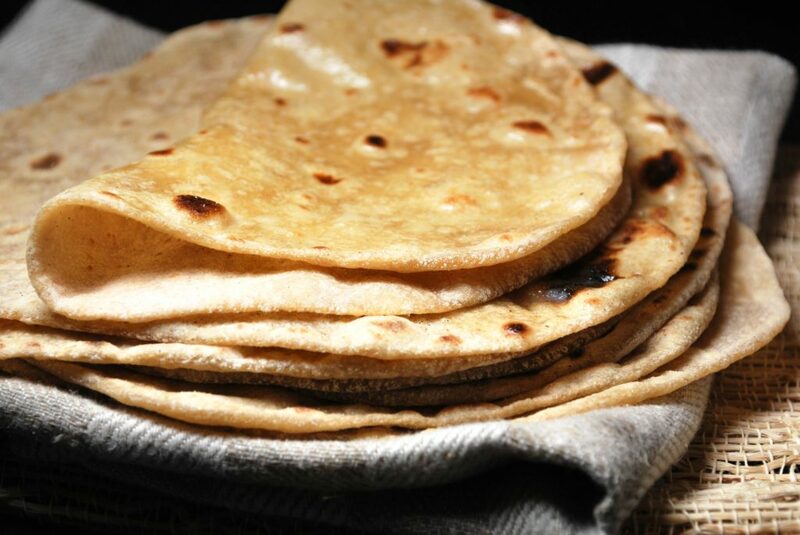 Chapattis are always fresh and cooked right in front of you. Bars and restaurants also usually serve Chapattis. 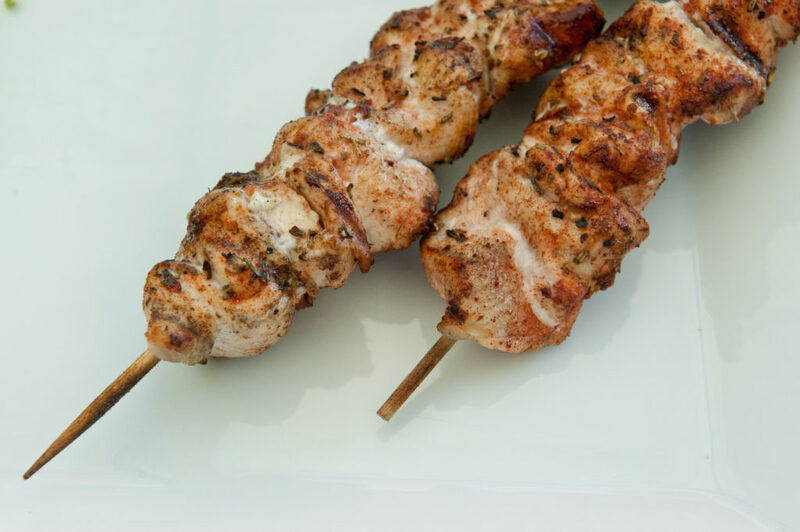 Brochettes! Every bar has them and most restaurants too. On average, they are about 800RWF or $1USD, and there are goat, beef, chicken and fish brochettes. Some also have onion and peppers separating the hunks of grilled meat. Served with a choice of salad (raw yellow onions, shredded carrots, tomatoes and tons of mayonnaise) or chips and you’ll be craving them all the time. 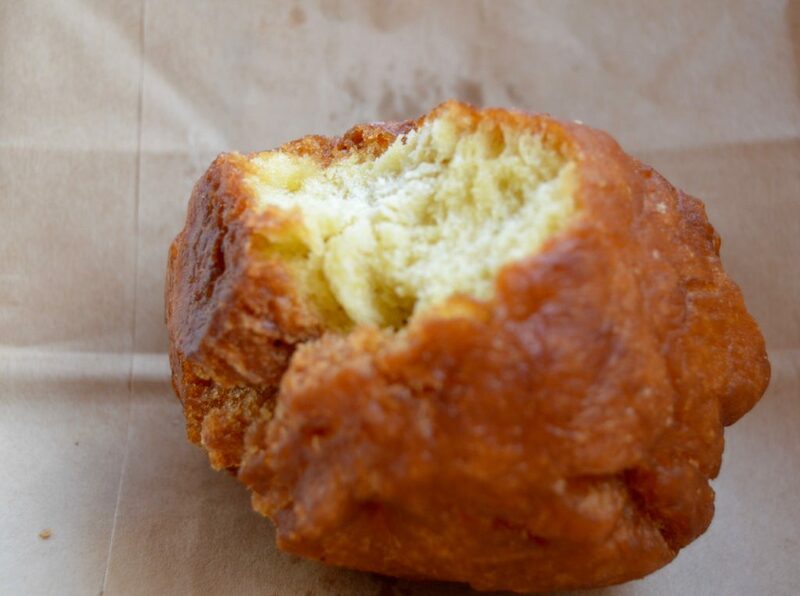 Mandazi are a deep fried dough balls, with a little bit of sweetness. Found in glass cases inside shops or in plastic buckets on the side of the road, they only cost 100RWF ($0.12USD). They are super addictive and go perfectly with a hot cup of African Tea. 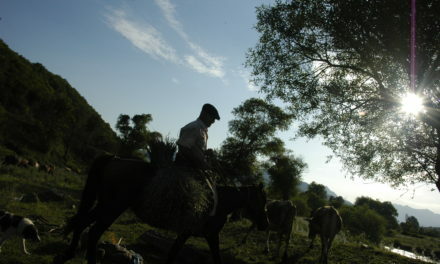 Ikiviguto is fermented whole milk. It’s super filling and has varying levels of sourness (and chunkiness) you can get a large glass for just 200RWF or $0.25USD. Roasted salted peanuts are a favorite Rwandan snack; a small bag costs just 100RWF ($0.12USD). Hard-boiled eggs can be bought from vendors walking the streets. The vendor will sit with you as you peel your egg and leave the shell in a separate bucket, and then top it with akabanga. A hard-boiled egg with akabanga will cost you around 200RWF or $0.25USD. 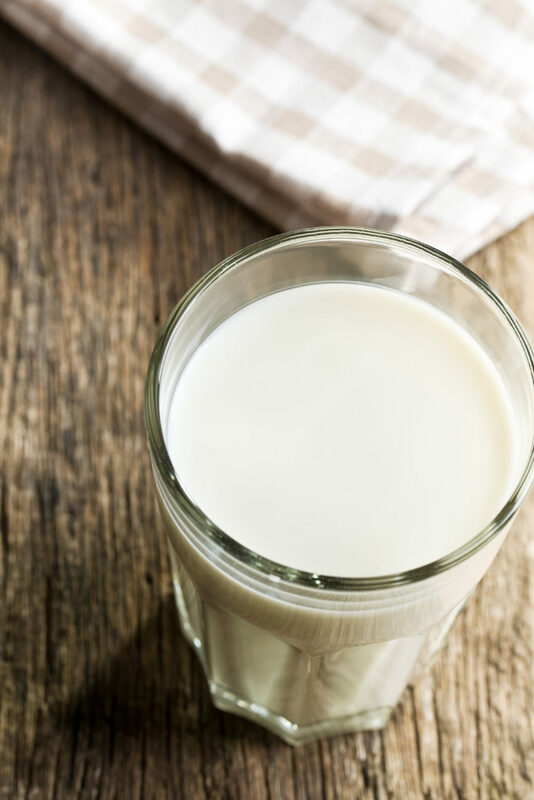 Icayi, or piping hot Rwandan black tea with milk and sugar, is another Rwandan favorite found on the street, in homes, bars, restaurants, and cafes, you name it! Prices vary depending on where you are but it should generally cost about 200RWF ($0.25USD). Popcorn stands start popping up everywhere as soon as the sun goes down. A small bag with margarine costs 100RWF ($0.12USD). Sue Anderson and her husband are travel bloggers and writers volunteering and adventuring in Kigali, Rwanda. 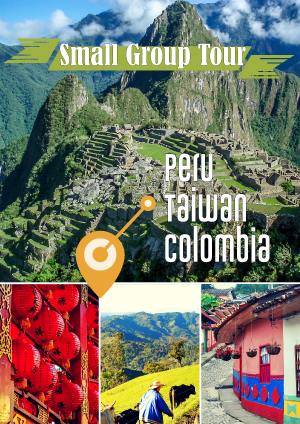 They've been traveling the world for the past three years exploring alternative living and long term-term travel. Find more about them on their blog adventuresofpaulandsue.com and follow them on Instagram @theadventuresofpaulandsue and Twitter @AdvenPaulandSue.